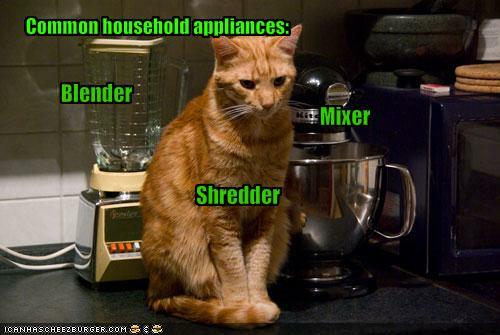 It’s been a given for many years that smart landlords do not allow pets. Why on earth would we…. If not cared for they may get fleas – yuk! 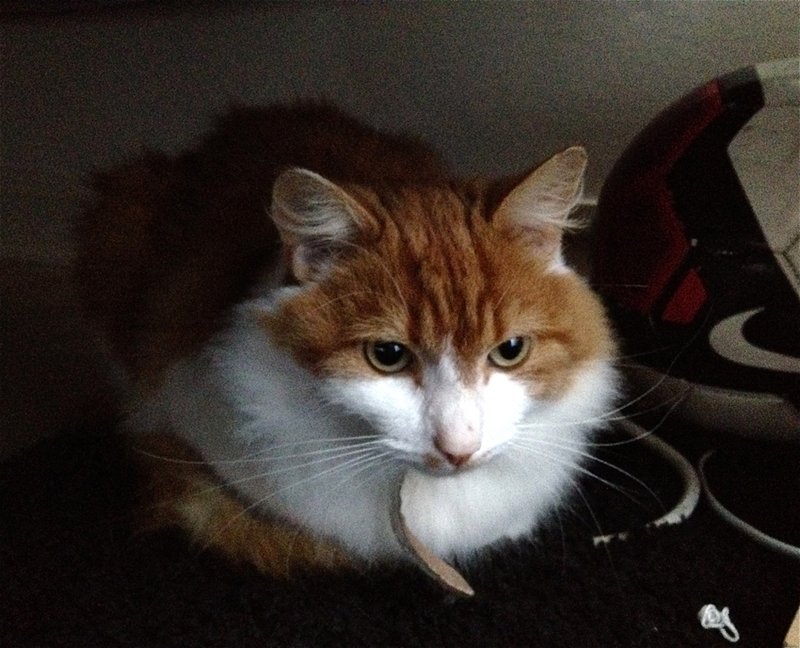 Now, I consider myself a smart landlord, but today I met ‘Dave’, a three year old long haired ginger rescue boy. Our new tenants in one of the rentals (a first floor apartment with rear door access to lots of green space) moved in last weekend and to be fair to them, they then asked whether it could be ok for them to get a cat. When questioned, it transpired that they’d already met Dave, who family couldn’t keep him as their young son had developed an allergy. Oh gawd, I’m a sucker for a sob story…. I said yes more or less straight away. Call me daft but it was a combination of gut instinct and past experience. Mr M & I had lived on the same development in a first floor flat a couple of years ago with my gorgeous girl Mia. We’d also had timber & tile floors with no carpet along with access to outside, so there were none of the problems bullet-pointed above. But more than that, I remembered my first flat, rented in the mid 90’s after leaving Uni. I’d gone out one night & returned to my rented home with a unexpected item – a skinny, poorly, abandoned kitten tucked inside my jacket, Mia, who with me for the next 15yrs. So when the female tenant of the three newbies asked if it would be possible to have a rescue cat…. I saw me. I saw me loving my flat, my cat and my life. I GOT PERSONAL!!!! Tongue in cheek possibly but maybe more pertinent is the fact that over 40% of the population own a pet. Not all of these people rent, it’s estimated there are 5 million tenants in the UK, but that’s still a whole heap of people to cut out of your rental loop. I have rented with my 2 dachshunds (and my husband!) for 2 years now, we’ve moved a lot due to work commitments and buying / selling so frequently would be a nightmare! I have loved every rental property that I’ve lived in like it’s my own. 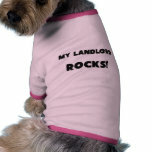 We struggle to find the type of properties we like because of the ‘no pet’ rule but landlords are missing out. My home and my dogs are beautifully cared for and we often end up raising the rental value of wherever we leave as we style it so well. So yep, wise up landlords and maybe meet prospective tenants before you roll out the ‘no pet’ rule. You could be lucky and get me and my dachshunds!!! You are indeed a rare breed! Manchester needs more landlords like yourself…It needs a a website! We have struggled to find landlords who would let to us & our 2 cats, but I was never afraid to negotiate terms: carpet cleaning on vacating, not letting them upstairs etc. Eventually, we’ve settled for a less than perfect house which allows us long term rental & pets. Turned out for the best, but I darent move again, especially at the moment. I’d rather sleep in my car than rehome the cats!! From a landlord’s point of view, unfortunately a few bad tenants ruin it for the majority. As a pet lover, I allowed our tenants to have a cat in our ground floor garden flat. Unfortunately they then got a dog as well on the sly, when we found out from the neighbour they repeatedly denied it until we confronted them with the proof, we allowed them to keep the dog with extra deposit in order to be nice, they repaid us by leaving the place filthy because of the dog, garden covered in poo and then refused to accept liability from the deposit. Lovely! Needless to say we don’t accept pets anymore. I just can not find a decent house for my husband, my Lhasa Apso and me. I really do not understand the landlords. If I damage the house I have to pay for it, no matter was it my dog or me. If the landlord is not happy with the repairs ent he can keep deposit and bond money. For God sake, what is the problem!! !